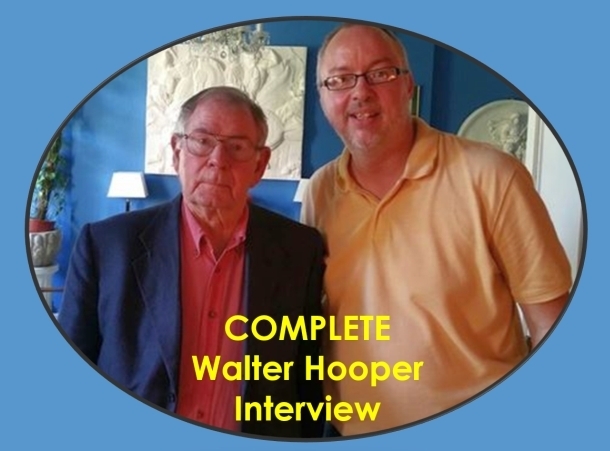 The following is the complete interview (nearly 60 minutes) with Walter Hooper. It was recording in his home on July 20, 2016. As you likely know, Walter has been the central figure since the death of C.S. Lewis in making sure Lewis' writing that were published in his life were reprinted and also Hooper has edited the majority of material from Lewis that was previously unpublished. His C.S. Lewis - A Companion and Guide gives the best single volume summary of the works of Lewis and key facts about his life.